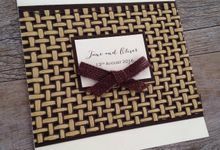 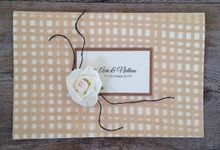 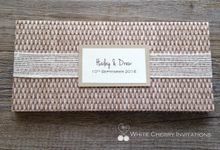 Generally 4 weeks before they require their first items, for example they may need their save the dates first, invitations a few months after that and then their coordinated stationery closer to the wedding. 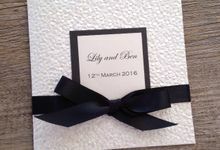 Enquiries earlier than this is advised where possible in the case our production schedule is busier than normal. 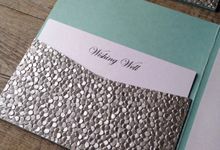 All of our designs are handmade by White Cherry Invitations allowing each couple to design exactly the invitation they want. 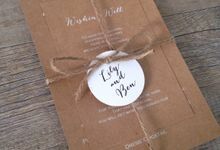 We pride ourselves on our customer service always making sure each client is comfortable and involved in all aspects of the design and approval process. 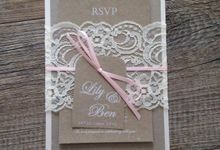 A 50% deposit is required to secure their order which also allows all of the invitation material to be ordered in ready for production once approval of all artwork and design is confirmed. 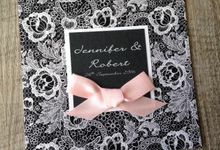 The final amount is payable 1 week before the items are posted to the client. 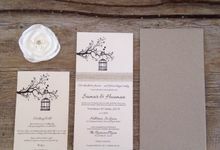 We have been custom designing invitations for more than 8 years now, however we re branded White Cherry Invitations as it is known today 3 years ago. 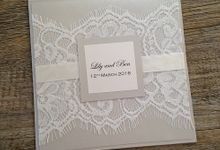 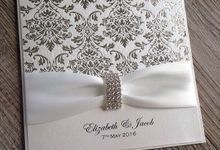 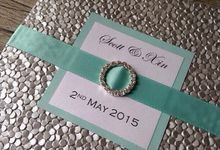 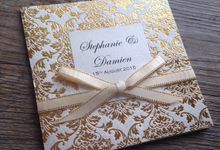 Your wedding invitations set the tone for one of the most memorable days of your lives and we will work with you to ensure the first impression of your big day is exactly how you envisaged. 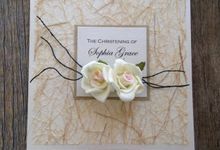 All of our stationery is handmade with compassion & care, using quality papers & embellishments. 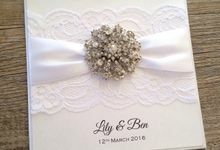 With over 8 years’ experience in paper craft, White Cherry Invitations will execute the passion, love and attention to detail your wedding invitations & coordinated stationery deserves.